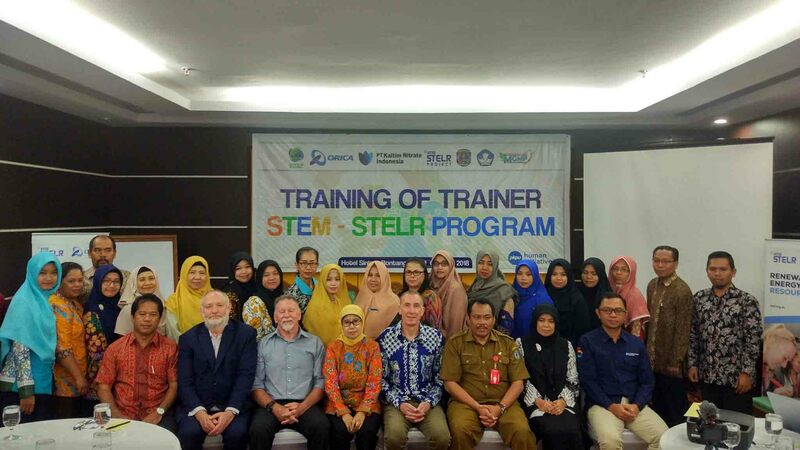 SEAMEO QITEP in Science in collaboration with PT Nitrate Kaltim Indonesia (KNI) and MGMP IPA Kota Bontang conducted a Training of Trainers STEM – STELR Program at Bintang Sintuk Hotel Bontang on 9 – 11 October 2018. The training was aimed at giving the science teachers experience the STEM lesson and activities. 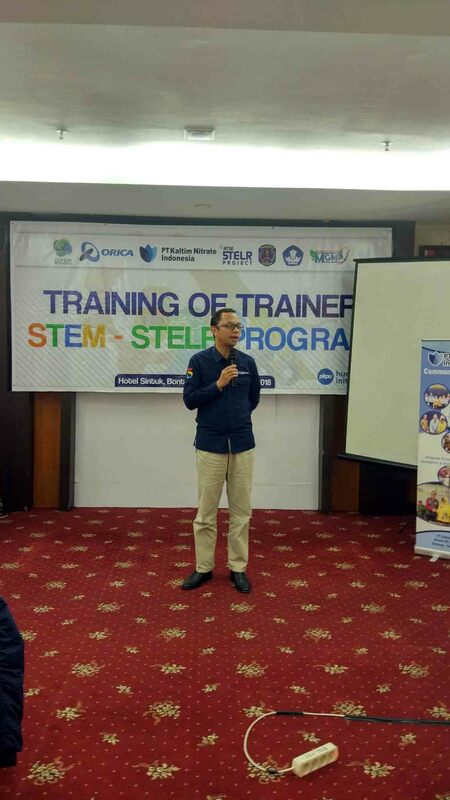 It also became a forum to prepare trainers in Bontang for STEM Education, and as a preparation for the STEM House project. 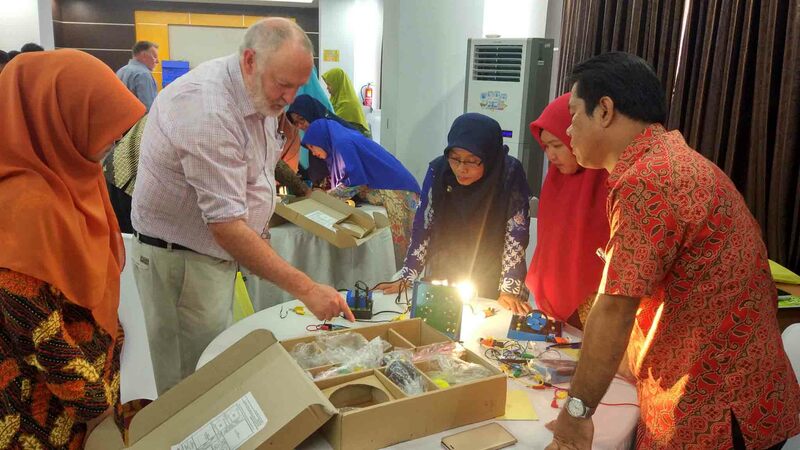 The training was facilitated by Mr Peter Pentland from Australian Academy of Technology and Engineering, Dr Greg Smith from Charles Darwin University, Dr Indarjani and Mr Reza Setiawan from SEAQIS. The training was officially opened by Mr Ahmad Suharto, the Head of Bontang Education Office. The opening ceremony was attended also by Mr Andy Hoyle, site director of PT KNI, in which he delivered a welcome remark. During the opening ceremony, Dr Indarjani, Deputy Director for Program of SEAQIS, presented the STEM House Project. The project is the initiative to develop STEM Education in Bontang through the STEM House. The project is a collaboration project with PT KNI, local government and LPMP Kalimantan Timur. The three days training was started with an introduction to STEM Education by Mr Peter Pentland, followed by STEM- STELR activities using STELR equipment and then Sustainable Housing and Sustainability topic by Dr Greg Smith. The last activities were hands-on activities without STELR equipment. 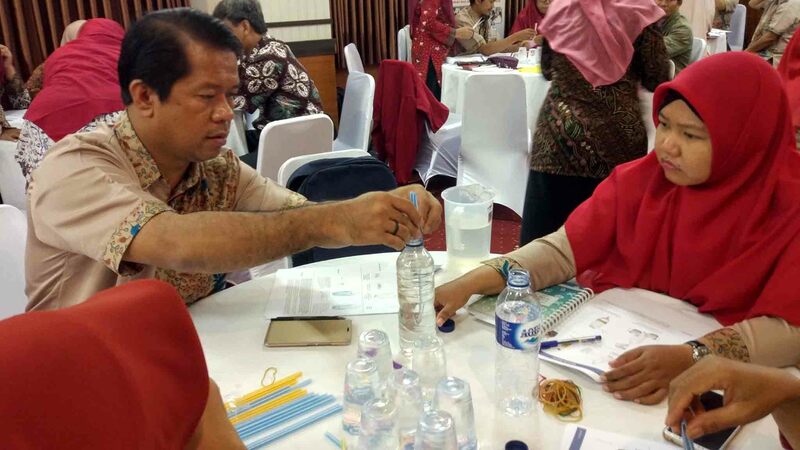 The training was concluded by evaluation and feedback facilitated by Dr Indarjani and Mr Reza Setiawan, and Mr Rheza Zacharias, the representative of KNI, delivered closing remark and closed the training officially.